Omnia is a suspension for overhead lines that can be applied to railway, underground, metro, trolleybus or tramway. The Omnia system delivers great simplicity through ease of assembly and deployment, reduction in parts and a design that works, giving the user huge savings in the ownership of this equipment compared to traditional solutions. The Omnia Group was formed in 2008 as a partnership between Bonomi Group (including Bonomi Rebosio), SATFERR (Italian design house), and GCF (Italian rail contractor – previously known as Bonciani). The three companies brought together their respective expertise and experience in OLE manufacturing, design, and installation to create a product to solve many of today’s challenges at the catenary level. After extensive consultation with Italian rail operators, the group developed a design brief to create a cantilever solution that would deliver a step change in safety and efficiency for installers and maintainers, whilst also improving reliability and flexibility to offer a longer service life and higher availability of the network. 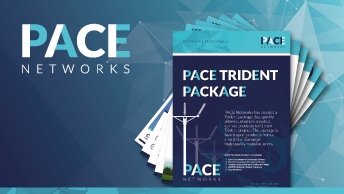 PACE Networks partnered with Omnia in 2009 and both parties have benefited from a productive relationship over the last decade. They have collaborated with Network Rail to ensure technical and commercial feasibility in the UK, obtaining all the required UK approvals. Project highlights have included the provision of cantilevers to such UK projects as Shotts, Walsall to Rudgeley, Stirling, Dunblane and Alloa, and North West Electrification. 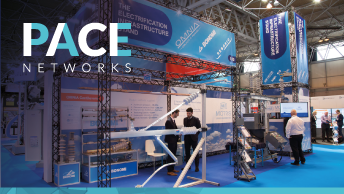 With the success of Omnia in the UK, PACE networks recently invested in holding Omnia stock to ensure maximum efficiency for UK customers.